If you google “mugwort” and “magic,” you’ll find articles recommending that you place mugwort under your pillow to “prevent astral attacks, or to ward off psychic attacks from those who would do you harm.” And in pagan tradition, a girdle or garland of mugwort is worn while dancing around the fire during summer solstice celebrations. These uses and beliefs about mugwort might lead you to write it off as woo woo pseudoscience. But I encourage you to reconsider mugwort as an incredibly effective healing herb that has been used for thousands of years in traditional Chinese medicine! Mugwort is an aromatic plant in the genus Artemisia, named for Artemis, the Greek goddess of hunting, wild animals, virginity and childbirth. It has been used since ancient times to relieve pain and as a remedy against fatigue, as well as being an important part of Chinese, Japanese and Korean cuisines. It is native to Europe and eastern Asia, but is extremely hearty and is actually listed on the New York Invasive Species database! Mugwort pollen is a common cause of hay fever; however, when torn or heated, these allergy-inducing properties are eliminated. All parts of the plant contain essential oils with insecticidal properties. In traditional Chinese medicine, mugwort is used in healing herbal formulas or for moxibustion, which takes many different forms. In my practice, I prefer to do needle moxa, where I place a small chunk of mugwort (moxa) on the end of an acupuncture needle, light it on fire and then allow it to burn out. The medicinal effects of the herb then travel into that acupuncture point, amplifying the healing effects. You may feel a little warmth as the moxa burns down, but no pain. It is generally extremely relaxing and has a nice smell similar to sage. Pain: alleviating certain chronic conditions such as arthritis. Digestion: bloating, constipation, diarrhea, IBS, food sensitivities. Emotional conditions: depression, irritability, stress & anxiety, lack of willpower. Sleep: Insomnia, trouble falling or staying asleep. Immune System: boosting the immune system and helping your body fight such ailments as the common cold, bronchitis and fever. Menstrual & Fertility Conditions: very effective at treating a wide array of menstrual and fertility conditions such as delayed or irregular menstruation and menstrual cramps. Breech pregnancy: using moxa on a particular acupuncture point, Bladder 67 on the little toe, can actually help turn a baby in the proper direction with a breech pregnancy. I have taught many pregnant patients how to do this at home on themselves or have a friend or partner do it as it’s most effective when done every day. 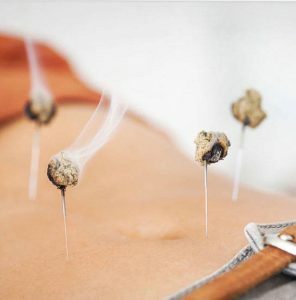 A 1998 study in the Journal of the American Medical Association supports this use of the herb: the study found moxibustion to increase fetal activity during the treatment period (1-2 weeks), which can lead to a reversal of fetal position. This was not a randomized, controlled trial, so more clinical trials need to be done to confirm these results, but the science is promising, and I have seen the positive effects in my own practice! 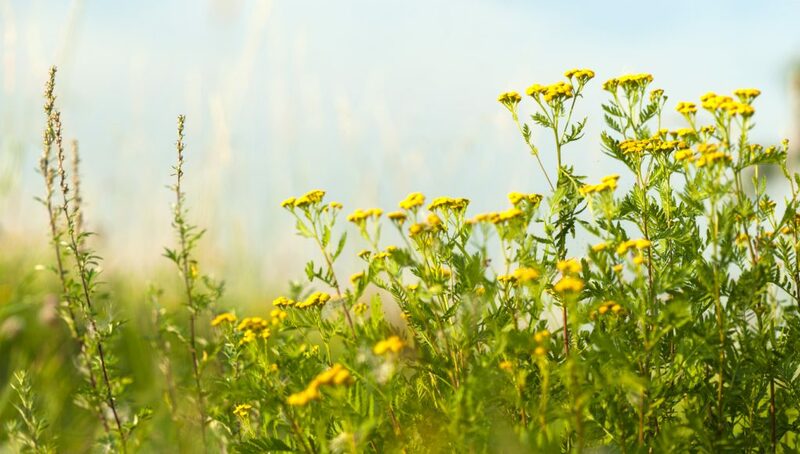 If you have been dealing with any of the above health issues, have suffered from debilitating menstrual cramps, or even just want an extra boost of healing during your acupuncture session, mugwort might be for you! Reach out to your acupuncturist or herbalist and they will help you figure out the best way to add this wonderful herb into your healthcare regime. This entry was posted in Acupuncture, Chinese Medicine, Herbs & Supplements, Thrive and tagged Acupuncture, arthritis, bloating, breech baby, chinese medicine, digestive issues, emotional disorders, fertility, healing herbs, immune boost, immune system, menstrual cramps, moxibustion, mugwort, needle moxa, pain, TCM.